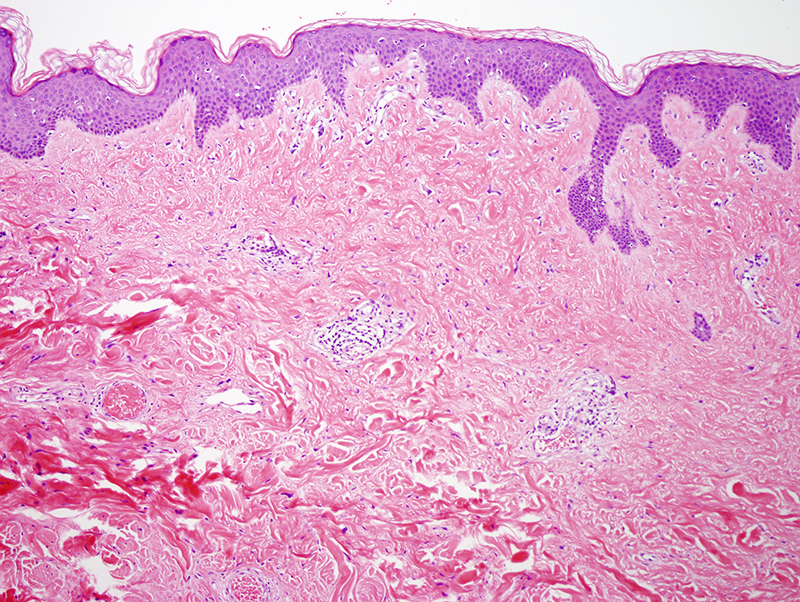 The findings are compatible with a cutaneous pseudo-sarcomatous polyp. 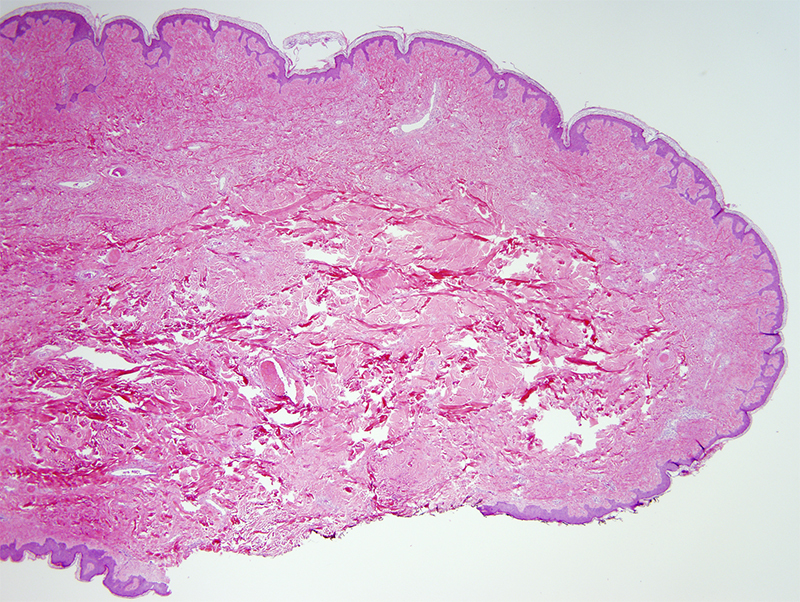 The entity was first recognized in 1996 when long-standing polypoid skin lesions with cytologic atypia but a benign clinical course were described. 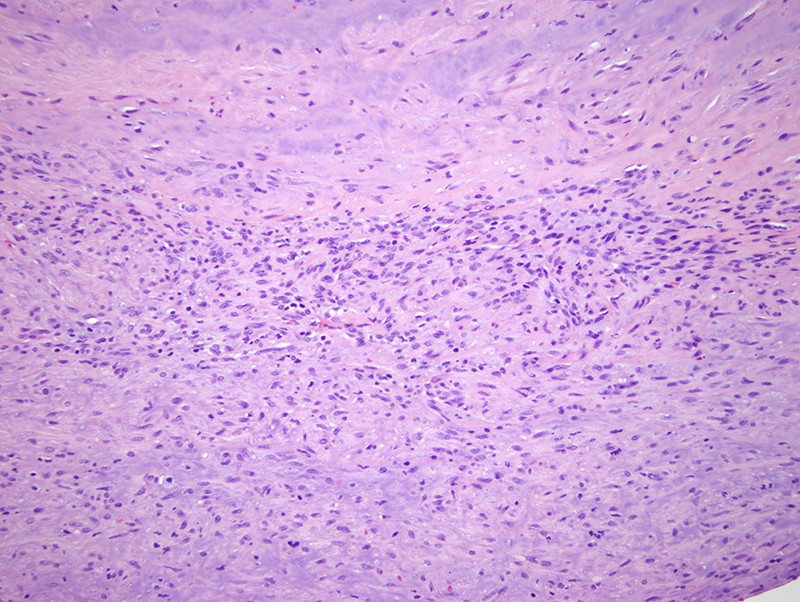 The lesions typically show CD34 and Factor XIIIA positivity. 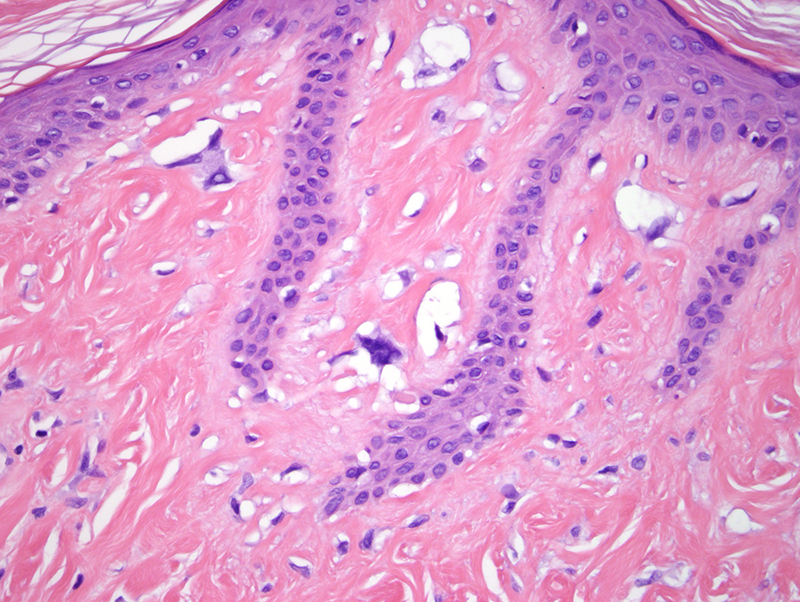 Some authors have postulated that perhaps the pseudo-sarcomatous polyps of the skin represent degenerated dermal spindle cell lipomas. 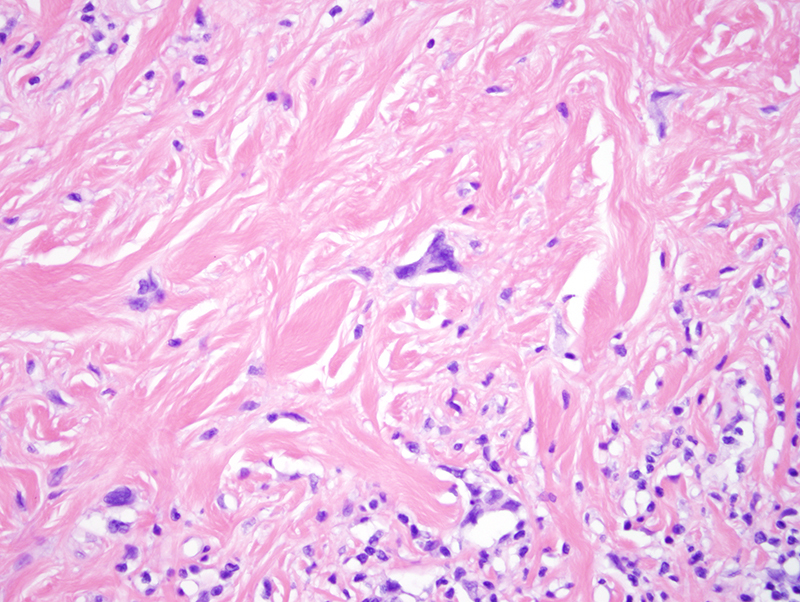 There is a subset of so-called pleomorphic fibromas that likely represent pseudo-sarcomatous fibroepithelial polyps as sometimes the so-called pleomorphic fibromas exhibit a polypoid configuration. The key in recognizing the diagnosis is the bland architecture. These lesions do behave in a benign fashion after local excision.